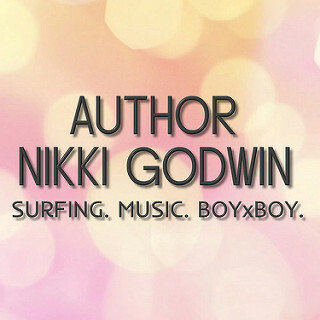 Nikki Godwin – Ginna Moran—Author of Young Adult Paranormal, Fantasy, Contemporary, and..,Your Next Book Boyfriend. I fell in love with Nikki Godwin’s writing when I read Falling from the Sky, and Breaking Saint Jude only enhanced my love for her novels. It was fast-paced, and I read it in three nights. Breaking Saint Jude is a contemporary LGBT novel with a diverse cast of eccentric characters that follows the story of Jude Calvert, the son of a zoo vet, as he tries to find his place in a world where he’s become an outcast due to an unfortunate situation with an ex-boyfriend’s family. What I loved most about the novel was how well Nikki brings characters to life. Jude Calvert was so well written that I felt like he was a real person, and he was sharing his life with me. When we’re introduced to his new group of friends, which he meets through his love interest Max Rangel, you can’t help but find a piece of yourself in every character. My favorites were Terry, because I met him before in Falling from the Sky, and while he has a shady life, he just gets things, and Tuck. Tuck had some great one-liners that had me snorting with laughter. I also enjoyed the unconventional storyline of a boy and his love for a polar bear and how he stumbles into a world with a secret brotherhood that scours the zoos for deceased wildlife to stuff and add to their collection, especially since Jude’s dad works at a zoo, and he’s a huge animal lover and vegetarian. It was a unique story that just made sense. I loved it! Another thing I loved about Breaking Saint Jude was how Nikki wove in tiny blips of her other novels, like crossover characters, bands, etc. It made me feel like I was in on a secret, which was totally cool. If you haven’t read any of Nikki’s other novels, do so! They’re all fantastic. I highly recommend Breaking Saint Jude for people who crave a diverse, young adult book with an LGBT main character, for those who like clean M/M romances, and those looking for something fun and different to read. If you haven’t read Breaking Saint Jude, go do it. Now! It’s FREE on most book retailers at the time of this posting. 1. The characters in Breaking Saint Jude all have unique collections—Jude with his broken glass, his friends with stuffed exotic animals. Do you like to collect anything? I actually don’t collect anything. I do buy a ton of notebooks, notepads, and such, though, if that counts! 2. Jude loves a polar bear and a gorilla in the novel. What is your favorite animal? My favorite animal is the giraffe. It’s one of the few animals that I highlighted in this book because I adore them. 3. Did you know you’d add crossover characters from your other novels in Breaking Saint Jude or was it something that just happened? When I started writing BSJ, I hadn’t planned on it. I actually began this book in November 2011 for NaNoWriMo while I was also drafting Chasing Forever Down (and needed a break). It sat on my computer half-written for a long time. When I wrote Kids in Love (Saturn #2), I actually borrowed Sierra Springs from BSJ, even though BSJ wasn’t published yet. I love crossover, though, as a reader and a writer, so I try to find ways to shout out my other books along the way. I actually reallllly want to write a spring break road trip book of Max & Jude and Micah & Ridge (from Falling From the Sky). I’d love to see a week of those four together. I doubt anyone would read it, so I may just write it for my sister lol. 4. We discover that Jude’s boyfriend is into boy bands. Who’s your not-so-secret boy band crush? Haha! I love the boy band shout out in this book. I often forget about it because it was a last minute addition. That scene was actually pretty revealing… Gotta love crossover. wink emoticon But I think everyone knows that I love Liam Payne from One Direction. 5. What was your favorite scene to write? My favorite scene in Breaking Saint Jude is one that happens on a rooftop. It’s a conversation between Jude and his dad (who is my favorite parent I’ve written to date). I’d originally planned on having this conversation between Jude and Max, but as I was writing, it just felt more organic and “right” to be between Jude and Dr. Calvert. Thanks so much to Nikki for taking the time to do an author interview! Nikki Godwin is a YA/NA/LGBT author. She can’t live without Mountain Dew, black eyeliner, and music by Hawthorne Heights. When not writing, she internet-stalks her favorite bands and keeps tabs on surf competitions. Her favorite surfer is Gabriel Medina. If you ever get her started on surfing or music, she’ll never shut up. You’ve been warned. One of my favorite books of 2015 was Falling from the Sky by Nikki Godwin. It swept me into a world of basketball, carousel rides, boyxboy kisses, and much, much more. When I heard that Nikki decided to write a sequel, titled Crash Landing, I was delighted. I absolutely LOVE the title. It’s the perfect fit for the boys in Bear Creek. To celebrate Crash Landing, I hopped on board for Nikki’s cover reveal and have been sitting on this gorgeous cover for a week. And now, I get to share it with you! 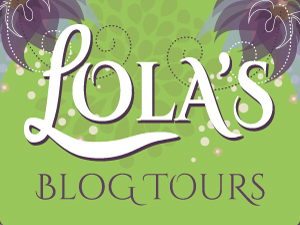 This cover reveal was organized by Lola’s Blog Tours. A year after the summer of horse dates and blue rock candy, his summer internship at Dunson Hills Sports Camp brings Ridge McCoy back to Bear Creek. Coaching basketball isn’t the best thing Bear Creek has to offer him, though. His long-distance relationship with Micah isn’t so distant anymore. Ridge is prepared to coach summer basketball, take college courses in the fall, and move in with Micah. What he hasn’t prepared for is telling his friends and family about his relationship. But when given a serious ultimatum – come out or get out – Ridge crash lands into an unfamiliar world of prejudice and homophobia. With his future career at stake, and at the risk of losing the little bit of family he has left, Ridge has to make a choice, and he isn’t sure if he and Micah can find their way out of this wreckage. You can find Crash Landing on Goodreads. There is a cover reveal wide giveaway for Crash Landing. These are the prizes you can win: an e-book of Falling From the Sky by Nikki Godwin and a swag pack. 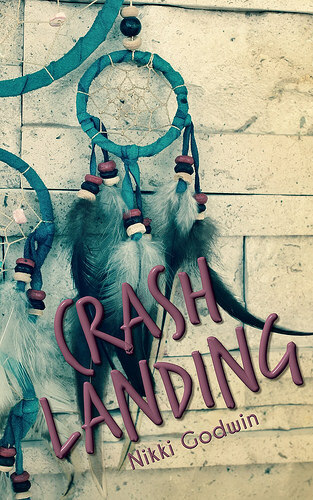 I hope you love Crash Landing’s cover as much as I do! You can read my original review of Falling from the Sky HERE. It includes an author interview with Nikki!